This is a guest post by Neal Kravitz who is an influential USA based orthodontist. I thought that it was a great appraisal of the effect of orthodontic experience on his clinical practice. 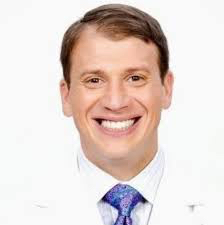 Bill Proffit playfully said, that “No one knows more than a second-year orthodontic resident.” He was alluding to the overconfidence of a new orthodontist who has yet to experience the real-word tribulations of private practice. Often, I wish that I could go back in time and speak to my younger self so that I could share the valuable experiences I eventually learned through trial and error. If only I knew then what I know now. Progress records are critical for evaluating tooth impaction, root angulation and resorption, pathology, bracket placement, oral hygiene, periodontal health, and so much more. Despite their obvious importance, as a young orthodontist I would only take initial and final records, with the occasional panoramic radiograph in between, for the vast majority of patients. Without frequent comprehensive progress records, I did not allow myself the ability to redirect any treatments that were digressing. I now take progress records at every third appointment, or every 4-5 months. Patients that are tracking off course will have their records printed and placed on my desk to be thoroughly reviewed the next day. Second molars can dramatically affect the occlusion due to their proximity to the fulcrum of the jaw. Any vertical extrusion of the teeth, for example, is multiplied by a variable of 2 to 3 in the incisor region. Early in my career, unfortunately, I underestimated the importance of the second molars and would sometimes avoid bracketing them due to their high failure rate. Years later, I would have to retreat many of these patients to correct unresolved issues with these teeth. The second molars are also an important diagnostic aid. If orthodontics is started too soon, well before the eruption of the second molars, these teeth will likely not be properly addressed during a 2 year treatment window. Furthermore, if the mandibular second molars are vertically positioned but still impacted by the third molars, premolar extractions are indicated to alleviate the posterior crowding. In the beginning of my career I focused on office collection; now, I focus on the second molars. Premolar extractions are still very much needed in orthodontic treatment. The phrase “extract for the face and not for the space,” that started during the Damon-craze years of my residency, is simply erroneous. Early in my practice, I would avoid extractions because I thought I could achieve enough space with expansion. Truthfully, I was also afraid of losing the family to another orthodontist. Many of these patients underwent unnecessary Phase I expansion or finished with severe dental protrusion and later required retreatment with premolar extractions. I now recommend premolar extractions every day and I am willing to lose the patient to another orthodontist if the family refuses this treatment plan. During the consultation, I review the panoramic and cephalometric radiographs with the family, often drawing on the printed radiographs right in front of the parents to highlight the crowding. Ideally, I will refer for extractions during the recall phase, months or even years before the patient is ready to begin his or her treatment, and then allow “driftodontics” to provide the head start. Phase I interceptive treatment should be prescribed conservatively. In many offices, virtually every second or third grader entering for a consultation now leaves with a treatment plan for an expander and braces. When I started my practice, I was no different. I used to tell parents that the expander would obviate the need for extractions and that the braces would help the maxillary canines safely erupt. I would pitch to them that all of this effort would save time and effort when the patient was ready for comprehensive treatment. In actuality, some of these patients received very little benefit from Phase I, and they still required two years of comprehensive treatment with appliances or extractions. I now selectively recommend Phase I treatment, and I prefer to solely use an appliance when possible. If the patient has an anterior dental crossbite in addition to their severe transverse constriction, whip springs are then added to the expander to provide incisor alignment. Patients with moderate maxillary crowding in the absence of a crossbite are referred for extractions of their deciduous canines instead. I am of the opinion that we may be overtreating our young patients. Too many orthodontists are hypercritical of one another. This behavior is likely attributed to our academic success in dental school, the browbeating method of morning case-reviews in residency, and the competition over patients in private practice. When I graduated from residency, I believed that I was better trained than the other orthodontists in my community. I judged others with a harsher eye than I judged myself. I now have a more realistic view of myself and I reflect more and project less. If a transferring patient comes to my office, I continue their treatment at no expense to the family in order to support the previous orthodontist. I have no time for criticism of others, as I have so much myself that needs to improve. I share these principles for catharsis, and I hope they might help others during their professional journey. As a resident, I was confident that I knew everything, until it became evident years later that I did not. Each day treating patients brings with it new lessons, and there is still so much more to learn. Absolutely loved this post. I’ve been doing Ortho 20 years and I agree 100 % . Especially #5. We are in this together , let’s support each other in Ortho and Life ! You made my Monday start out awesome ????! I agree it is so important not to judge each other, but is so much better for patients and the profession so support and help our colleagues. We learn something new every day we continue to practice. A very uplifting article. This post should be required reading in every orthodontic residency. Daily. It should also be required reading before you think about implementing the latest, greatest bracket, method, guru or vibradontics. Great post, respect and humility! This is so well written and so true that I called Dr. Kravitz office to thank him. Thank you as well, Dr. O’Brien, for this blog. An excellent post, many thanks for sharing. Thank you for your post. You are so right, and you have the courage to post the truth. Bravo! The question is when is our profession going to unify. The flood gates of “production enhancing treatment technologies” have opened. The rules of decency and the ability to think critically have been clouded with our sense of entitlement. Great lesson for all of us, well said!!! What a fabulous article! Made me feel better about life and work. Great post, I totally agree with the points of second molar and limiting phase I treatment. Congratulations Dr Kravitz, well spoken. This is the second outstanding article I have read by you, the first being your 2009 AJODO paper “How well does Invisalign work?” (AJODO 2009, 135:27-35). Thank you for your contribution to the profession, sir. I would be interested in your mature reflections on aligners if you can spare a few minutes. Thanks again. Yes, there is much more to learn. 1. Principles of Biomedical Ethics by Tom L. Beauchmp. Sixth Edition. Oxford Press. 2. Dental Ethics at Chairside. Professional Obligations and Practical Applications by David Ozar, David Sokol and Donald Patthoff. Third Edition. Georgetown University Press. And most important: The “Do not harm principle” is superior to any attempt to avoid conflict with another orthodontist. If the health of a patient is endangered by another orthodontist, your primary duty is to inform the patient on this danger. As a recently qualified consultant I can see I have gone through several of the stages you have described! Especially when I started in private practice, I would let the patient, cost and location influence my decision making process. Indeed the idea of loosing a patient was cataclysmic. I do look back at those patients and cringe at the compromise it made to the outcome. This article made me think better about myself and have more trust in the way I think! Best words;: humility and catharsis! Thank you! A great post by Neal. It took me many years to evaluate my treatment outcomes and whether I was “over treating” many of my early patients. I think that many of us also sipped or chugged the non extraction cool aid, and hopefully now make more logical extraction decisions when necessary. Hopefully, our younger practitioners will listen to Neal and be “quicker learners.”. Thanks for your blog! Another milestone of truth and experience from the great Dr Kravitz. I concur with every single point; unfortunately the number 5 is still so common.